The Global Forum for Innovations in Agriculture (GFIA) took place in Brisbane, Queensland last week. Spanning two full days, a range of speakers addressed all sorts of different topics relating to precision agriculture, controlled environments, and protected cropping. Exhibitors at the GFIA event presented the latest innovations and technologies for smart food and fibre production. With around 1,000 attendees from a range of countries and with diverse backgrounds, the conference was seen as a success by many exhibitors that I spoke to. Some of the exhibitors showcased some truly innovative technological solutions. Growlogic, for example, presented its solution to harvest problems in orchards. Growlogic equips harvesting staff, picking bags, and collection bins with trackers and collects this data with a tethered drone that stays up for as long as 12 hours. This data can then be used in payroll integration, as an incident tracker, activity tracker, and in a range of other situations. By benchmarking live data with data that has been collected previously, orchard managers can detect, for example, when picking performance is below average, rough handling, when premature fruit is picked, or when someone falls off a ladder. These and many other metrics, all in realtime, seem like they could revolutionize labor management in orchards. 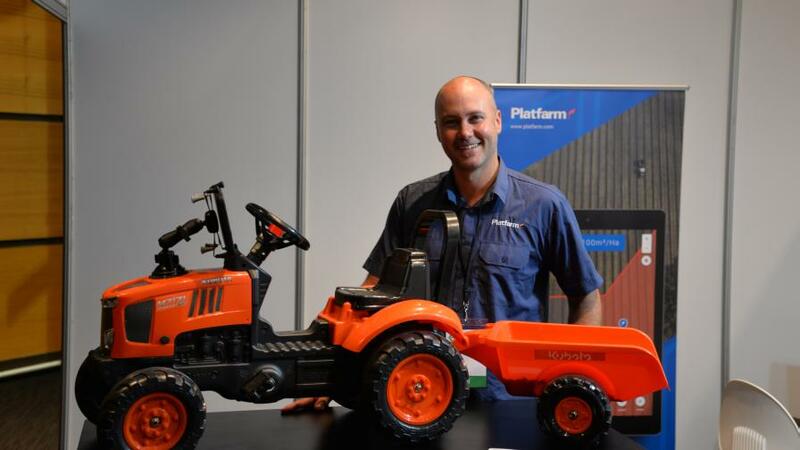 Another interesting technology presented at the GFIA was Platfarm. Platfarm founder Oli Madgett explained in his presentation that his app enables grape growers to use variable rate scripts for mulch and compost, without the need for expensive monitors or other VR enabling equipment. First, a drone creates an NDVI map, after which Platfarm automatically draws in the vine rows. A viticulturist can then create the script and, when applying the mulch or compost, the machinery operated will get notified when the spreader should go to high, medium, or low output. This seems like a novel and low-cost solution that could easily be adopted anywhere in the world, regardless of the level of technology available to growers. It wasn’t only the exhibitors, however, that were showing their latest inventions. 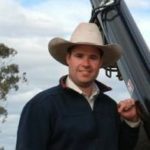 During the GFIA I spoke to visitor David Ricardo, creator of the Farm Service Manager app. This app simplifies farm machinery services on smartphones and takes farm service records into the digital age. The app allows farmers and their staff to create an accurate, detailed service history for all machines on farm with the aim of improving resale value of machinery and supporting workplace health and safety. These are only three examples of many agtech startups that were present and it was truly exciting to speak to so many people that are passionate about innovation in agriculture. Sometimes Australia can feel far away from the result of the world, but seeing all these Australian agtech start-ups present themselves, surely made Brisbane feel like the centre of the agtech universe for two days!